Lancaster County Pediatric Dentistry is a dental practice in Willow Street, PA specializing in dental treatment of infants, children, and adolescents from 1 through 18 years old. Any child with anxiety, behavioral health issues, or special needs is welcome. Drs. Michael Lemper and Jenny Chen Lemper provide comprehensive dental services with kindness, compassion, and a genuine interest in your children’s well-being. Drs. Mike and Jenny are trained in advanced behavior management techniques including nitrous oxide anesthesia. Very frequently they can treat children in the office successfully when previous dental visits to other providers have failed. The office is very child and family oriented, with a relaxed, fun atmosphere. The doctors will always explain your children’s treatment needs and give you all available options for treatment. Lancaster County Pediatric Dentistry accepts most insurances, including PA Medicaid such as Amerihealth Caritas, United Healthcare Community Plan, and Gateway; PA CHIP (Children’s Health Insurance Plan); and virtually all private insurances. Lancaster County Pediatric Dentistry serves the greater Lancaster area, southern Lancaster County, and York County. Same-day emergency appointments are frequently available. Dr. Michael Lemper is a board-certified pediatric dentist. He was educated at Rice University and the University of Pennsylvania School of Dental Medicine where he received his DMD in 2003. He then went on to a two year residency in pediatric dentistry at St. Christopher's Hospital for Children in Philadelphia. 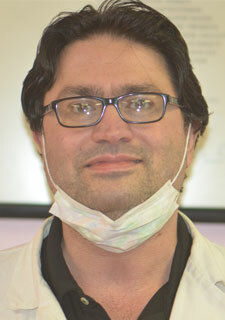 He received specialized training in all aspects of treating children, including behavior management, nitrous oxide, operating room dentistry, and the latest restorative techniques. Dr. Mike specializes in treating children and adolescents from 1 through 18 years old, and welcomes all children with extensive dental problems, anxiety, behavioral issues, and special needs. Dr. Mike is also proficient at adult tooth extractions and implant dentistry. Dr. Mike is married to his practice partner Dr. Jenny Lemper, and they have two children. Amanda has been with the practice for 6 years. 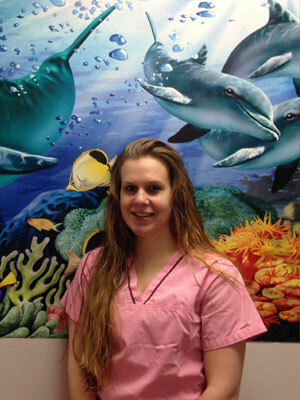 She enjoys working with children in all aspects of dentistry. She and her fiance have just welcomed their first baby girl Brylee in October. She loves spending time with her family and two dogs, who are a huge part of the family. Jonna has worked with the practice for the past two years. She enjoys educating our patients on good oral hygiene. In her spare time she enjoys fishing, planting flowers and spending time with her daughter Autumn and her husband. Wanda has been with the practice for 7 years. She is dedicated to assisting Dr. Mike restore children back to dental health. Wanda is happily married with 3 children and 1 grandchild. In her spare time she enjoys spending time with her family, yoga, and cooking. Analee has been with the practice for 5 years. She works with scheduling, billing, and surgery coordination. In her spare time she enjoys spending time with her husband, walking her dog Prince and playing softball. 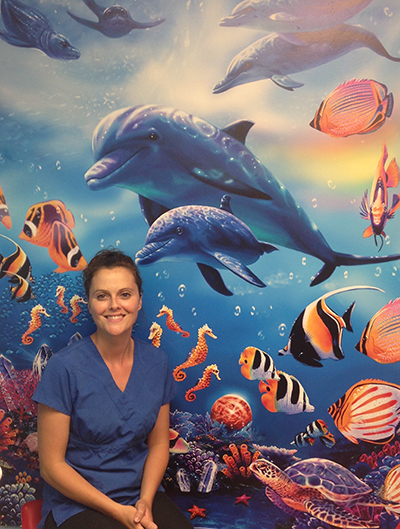 Allison has been with the practice for 2 years and loves working with children. She works as a receptionist and a dental assistant. She is currently working towards her Expanded Function Dental Assistant license. In her spare time she enjoys spending time with her 6yr old daughter Makailee, hiking, canoeing, and swimming.